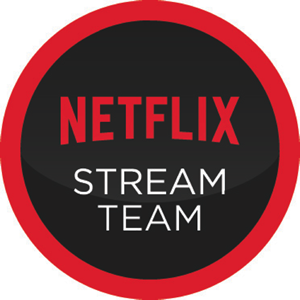 I am a Netflix Stream Team member and have been giving a Netflix emmbership to help facilitate my posts. All thoughts and opinions are 100% my own. So I think I have established how much I enjoy Netflix for when I want to go crazy and binge watch entire seasons of shows. (Also known as "Netflixing"). In fact, I just finished season 2 of Once Upon A Time last night. But Netflix is also great for watching some of your old favorites as well. 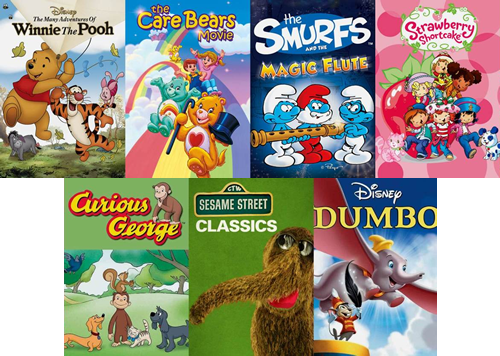 There are so many shows on here that either myself or my husband loved as kids and it has been a blast introducing some of them to our own kids. Come on, be honest, how many of you loved Saved by the Bell? If I watch it now I am sure it will seem cheesy, but I really did love that show way back when. 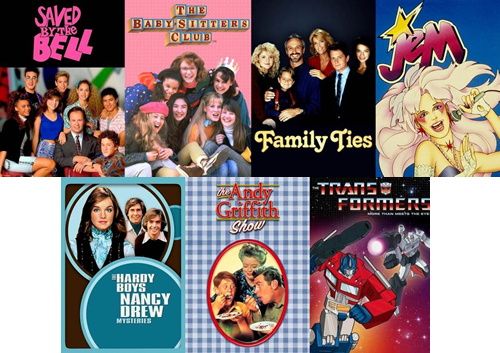 My kids aren't really old enough for Zack Morris yet, but there are plenty of other great oldies on Netflix. Actually, I think one of the first shows my kids watched on Netflix was the original Transformers cartoon. They had already seen all the movies and they loved watching the old show. Once they finished all of the seasons, they started right back at the beginning again. They have also watched a little bit of the original G.I. Joe cartoon with dad. There are also some great classics for your younger kiddies to get into. I can even begin to tell you how obsessed I was with Care Bears as a little one. I had all the dolls and the VHS movie in the big puffy plastic case. Remember those? I think I may even have those dolls up in the attic somewhere. Plus of course there are the classics Sesame Street episodes. Cuddling down on the couch with your preschooler and watching some of these is a lot of fun. 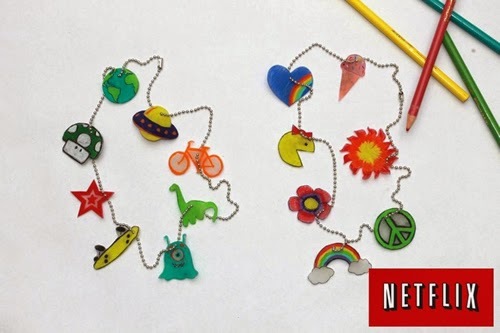 The only thing Netflix needs to add is Rainbow Brite! If you really want to go all out with the oldies movies and shows, you can throw in some old school craft fun as well. I am embarrassed to admit how excited I was when I found out that you can buy Shrinky Dink paper. How cool is that? Have them draw some pictures from their favorite "oldies", or whatever they want really, and then watch them magically shrink in the oven. What were some of your favorites shows or movies as a kid? Have you introduced any to your children? One (1) winner will receive a code for a 3-month subscription to Netflix. Giveaway ends on 4/29/14 at 12:00 AM EST. Open to US residents only. Please enter on the Rafflecopter form below. Saved by the Bell and The Smurfs are favorites of mine. Thanks so much. Oh I liked the shows Picket Fences, SeaQuest DSV, all the Star Trek series. I like Family Ties, M.A.S.H and Bewitched. I liked Picket Fences and Hill Street Blues. I like Saved By the Bell and Gilligan's Island. I like Family Ties, Step by Step, Saved by the Bell. Strawberry Shortcake and Saved by the Bell. I like I Love Lucy and Bonanza. MASH, Taxi, Seinfeld, Northern Exposure to name a few. I enjoy I love Lucy & Cheers. I like MASH and Seinfeld. Wonder Years and Little House on the Prairie are my old faves! One of my all-time favorite shows is Seinfeld. MASH,Charmed,Gilligan's Island,Happy Days are just a few of my favorites! I like Happy Days, All In The Family, The Jeffersons and a whole lot more. I liked Saved by the Bell and Family Ties.